Gift certificates make a great gift for any occasion! Print your gift certificate from your computer or have a gift email sent directly to the recipient! We have custom gift cards, too! 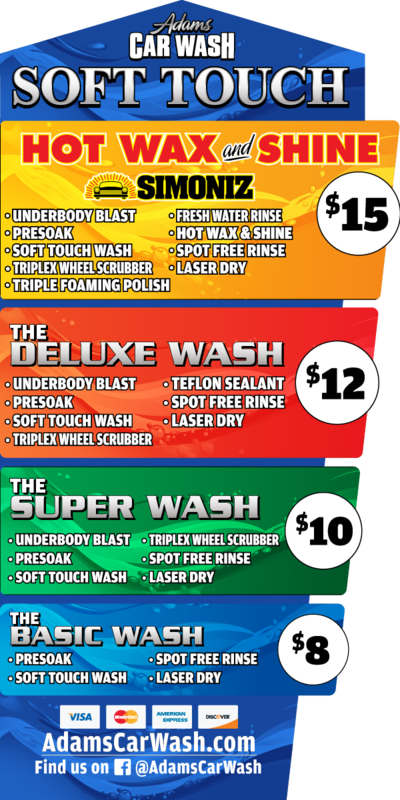 As a Wash Club Member, the more you buy the more you get FREE! Check your current balance, view transaction reports, or replenish your account 24/7! Wash Club account balance getting low? Reload your prepaid membership account and earn FREE washes! Become a Wash Club Member and Manage Your Account Online! As a Wash Club Member, you can check your current balance, view transaction history, or replenish your account 24/7. 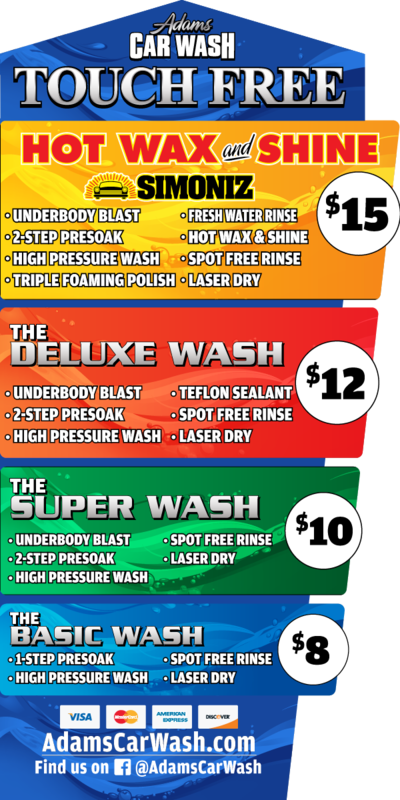 Upon completion of prepaid wash purchases, you will receive a "Member Number" which can be used immediately. Take Advantage Of These Great Money Saving Offers!